Step out of the city life by going to Prague Zoo and Petrin Hill. Do your shopping at Egoist Royal Parfums and ARTĚL Design Store. You'll find plenty of places to visit near Prague: Karlovy Vary (Vridelni kolonada & Diana Lookout Tower), Karlstejn Castle (in Karlstejn) and Terezin (in Terezin). 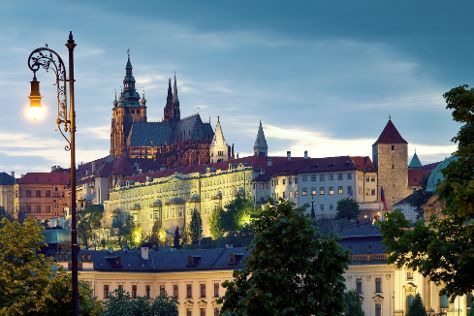 And it doesn't end there: get to know the fascinating history of Prague Castle, steep yourself in history at Old Town Square, pause for some serene contemplation at St. Vitus Cathedral, and stop by Manufaktura. For maps, other places to visit, where to stay, and more tourist information, read Prague trip itinerary builder. If you are flying in from Israel, the closest major airport is Václav Havel Airport Prague. Expect a daytime high around 28°C in August, and nighttime lows around 16°C.